Lives are changed because of stories. Well, in reality, lives are changed because of other’s lives, the story of another’s life that impacts you in some major way. Jesus story impacted me profoundly, but I didn’t really understand all the ways until several years ago. When I was seven, I had an aha moment that changed my life. It made stories I had heard since birth finally make sense and resonant with me. There was no such thing as children’s church when I was a kid, so I listened to a lot of sermons that made little sense to me. When the preacher said all that sinned were going to burn in the lake of fire, I figured that meant all the really bad people like murderers and bank robbers. It surely didn’t have much to do with me. I understood the concept—do bad stuff and you need to accept Jesus as your savior. So far, I didn’t think hitting my little brother on the arm counted for being sent to hell. One Friday night, though, my Dad didn’t have enough dimes to give one to my brother and I like he normally did. It really made me mad because we had been good while they were grocery shopping and I felt I deserved my dime. I count taste the penny candy I was planning to buy. So when Dad and Mom were busy checking out their groceries, I sneaked four pieces into my jacket pocket. For the first time in seven years, I realized I had really messed up. I looked up at my dad as we walked out of the store. There was a tear in his eye. I knew then I was the sinner the pastor preached about. That night I prayed a simple prayer. “Jesus, come into my heart. Forgive me for being a sinner. Save me from hell.” I was only after fire insurance. What I got was grace. That grace followed me throughout my life. I was a new person in many ways, but for some reason I hadn’t really learned to go to God for everything. I knew He had the power, but I didn’t know how to connect that in certain areas of my life. One of my coping mechanisms, learned through some difficult times in my life, was to eat. Things that my grandmother made always gave me comfort. So when I was stressed, overwhelmed, depressed, angry, frustrated, sad or even happy, I would bake something wonderful and yummy like grandma made. I couldn’t always be with her, but I could have the foods she made me with her extra dose of love close. Even though I had made it, it reminded me of times we spent cooking together. I wanted to feel that love seeping into every pour of my life. The problem was I used this as my go-to source for everything. Before I knew it I had ballooned up to 430 pounds and had major health issues. Of course, I was a Christian and many times I prayed earnestly about my weight problem. I sensed God telling me during my prayer times that the way to overcome my issue was to stop eating sugar, eat more meat, fruits and vegetables and stop eating so much bread. I had ignored Him because it just seemed too difficult. The doctor had given me five years to live if I didn’t lose weight. Still, I toyed with my life going through some things that were major interventions but I began gaining weight again. Finally, I had that moment when I knew I had to do it God’s way or my time on earth would be short. I admitted my weakness for items with processed sugar and gluten. I laid them at His feet. In return, He gave me His power and His strength to begin changing my life choice by choice. To date I have lost more than 250 pounds all due to connecting more fully with the power and comfort available to me through the person of the Holy Spirit. Because God has done this in me, I am able to share my story with many people in many different ways. I’ve written a book about it, Sweet Grace. The title so it all, His grace is sweeter than the sugar I ran to for emotional comfort and support. When I speak, I share my story about how God can take the broken pieces of our life and put it back together in amazing ways we never dreamed possible. My story connects with people who know they have an addiction they can’t seem to overcome. And many are starting the journey to freedom through the power of Christ. It is the brokenness in my story that people relate to the most. God tells us that through the Holy Spirit we receive power to be His witnesses close at home and around the world.3 We can’t do that unless we tell our story. I have taken the first step towards outliving my life by writing down my story. Hopefully, it will leave a legacy that says Jesus cares about everything in our life and has the power to help us overcome when we connect fully with everything He shows us. My life itself will do that if I share my story with another and connect them to Christ’s story and how He can change their life. So, what about you? What is the brokenness in your life? How has Christ brought victory to your story? 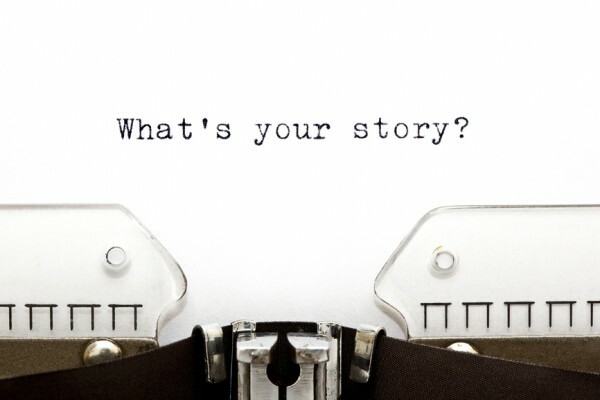 How will you share your story with others?